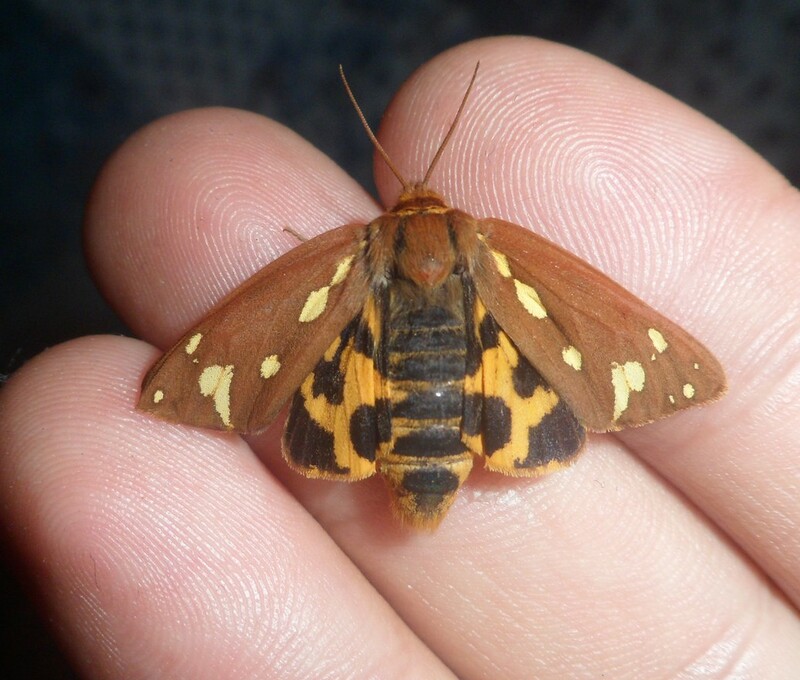 Hyphoraia aulica — “Brown tiger moth” | Welcome, visitor! 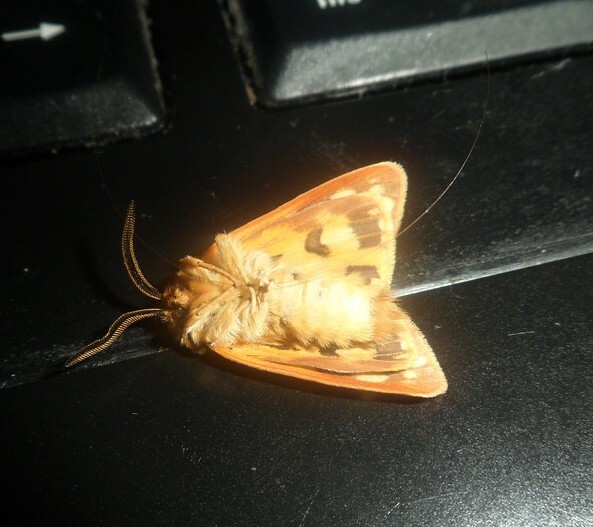 Hyphoraia aulica, also known as the Brown tiger moth, is a quite small but charming species of tiger moth. Being only 2,5 to 3 centimeters small, their beauty is easily overlooked. Special notes: these tiny moths can take an extraordinarily long time to rear! 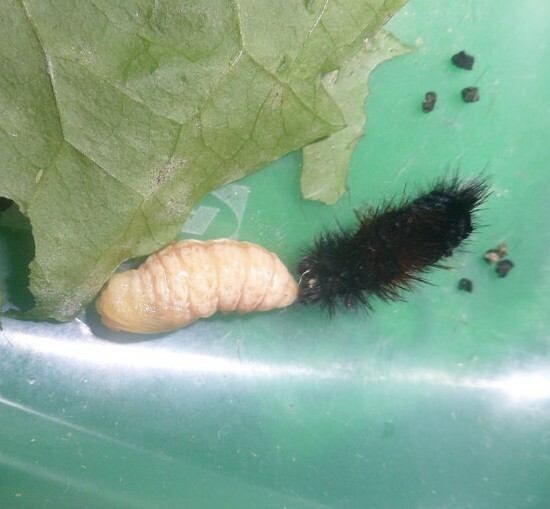 Like most Arctiidae the caterpillars are highly polyphagous and willing to feed on a mix of host plants, mostly low-growing herbaceous plants such as Taraxacum sp. (dandelion) and various grasses. In captivity, experimenting with host plant will be worthwhile. 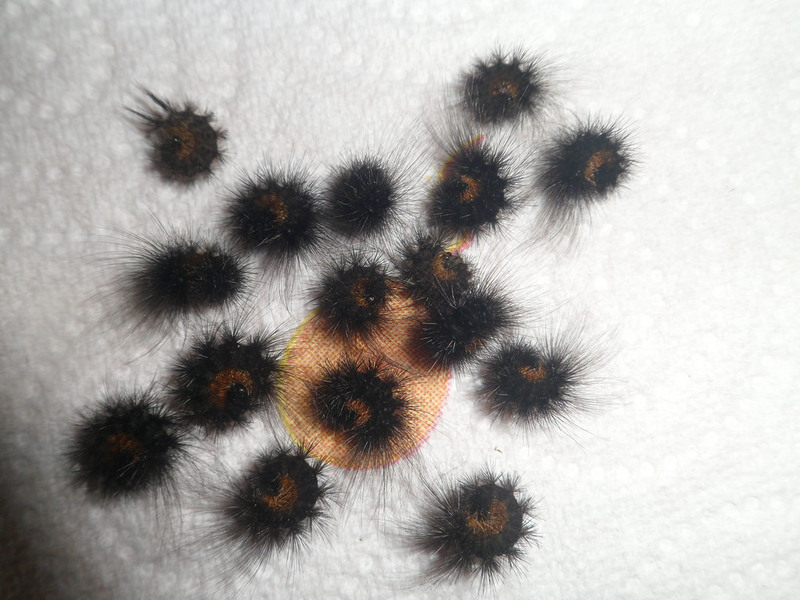 Like typical Arctiidae their caterpillars are quite hairy. Notable is that Hyphoraia aulica caterpillars can run with a surprising high speed if stressed. This makes them prone to escaping. They may also assume a defensive pose by curling themselves up into a little ball. This species develops quite slowly (It took me from the 6th of May to the 4th of August to rear the caterpillars into the first emerging moth). If startled, the moths will often drop themselves to the floor and pretend to be dead. Guilt tripping predators is their main defense. How dare you hurt something so innocent.. murderer! Not much appears to be known about this species in literature, for they appear to be overlooked and relatively rare.